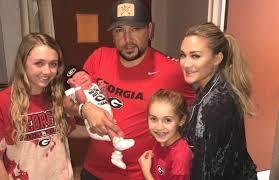 Jason Aldean receives a new baby! The star and his wife Brittany Kerr welcomed their first son, Memphis Aldean, into the world on Friday. "So blessed today the little man come into the world," Jason captioned a sweet photo of his newest bundle of joy. "In a year that has been a rollercoaster ride, this is what its all about," he wrote referring to the tragic Las Vegas shooting that took place at the Route 91 Harvest Festival in October while he was performing on stage. "I cant wait to see what life has in store for this kid," he added. Jason also confirmed Memphis weighed in at 9 pounds, 5 ounces and referred to his wife as a "rock star" during the delivery. The singer has two daughters from his previous marriage, but it marks the first child for Brittany who merrily thanked her husband for "enduring all the hand squeezing and nail digging."